I am a true believer in the phrase ‘a blessing in disguise’. My passport was nearing expiry and I had to make a quick trip to Sri Lanka to get it renewed (the express service is only available in Sri Lanka). 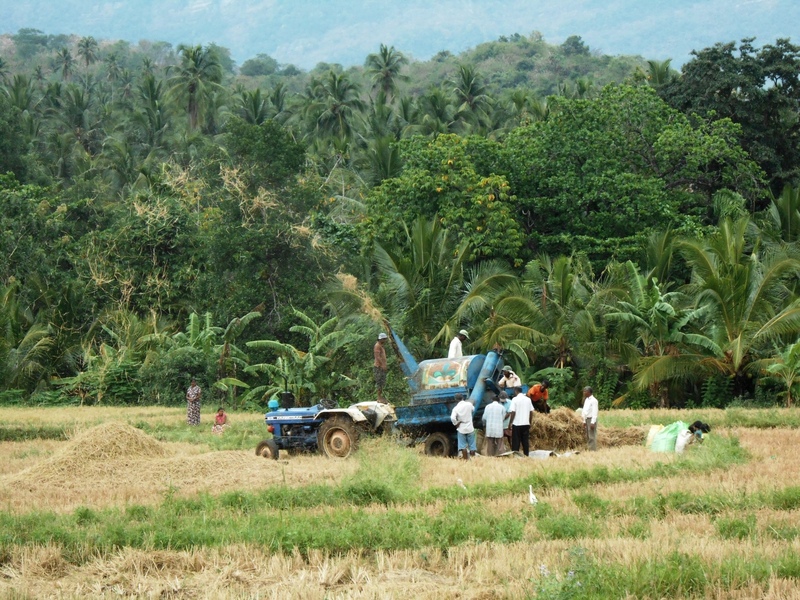 While complaining to my husband about the dreaded visit to Colombo (when in Sri Lanka I try to avoid going to the capital city at all costs), in the back of my mind I was thinking, ‘Four glorious days of tropical bliss, not bad…not bad at all!’. Any excuse to go back home. 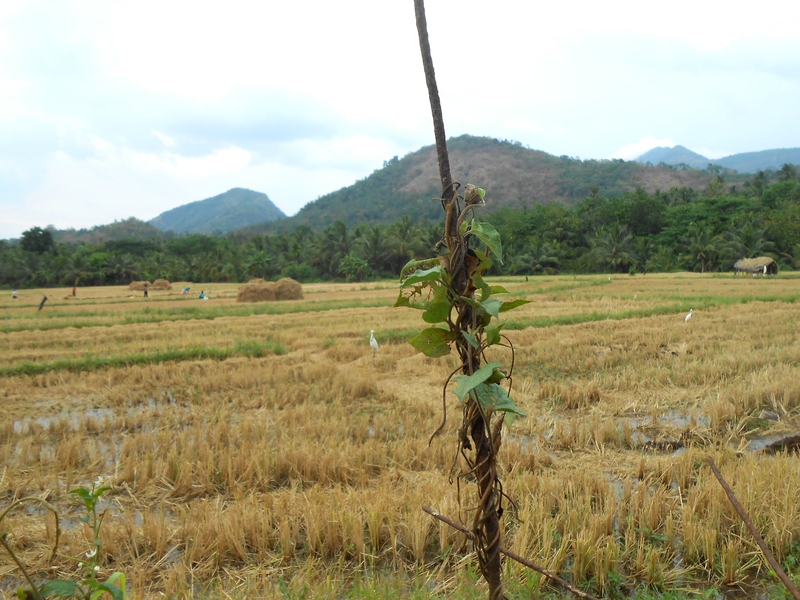 It’s a long four hour drive from the airport to my mom’s hometown, Matale, which is situated in the hilly Central province. 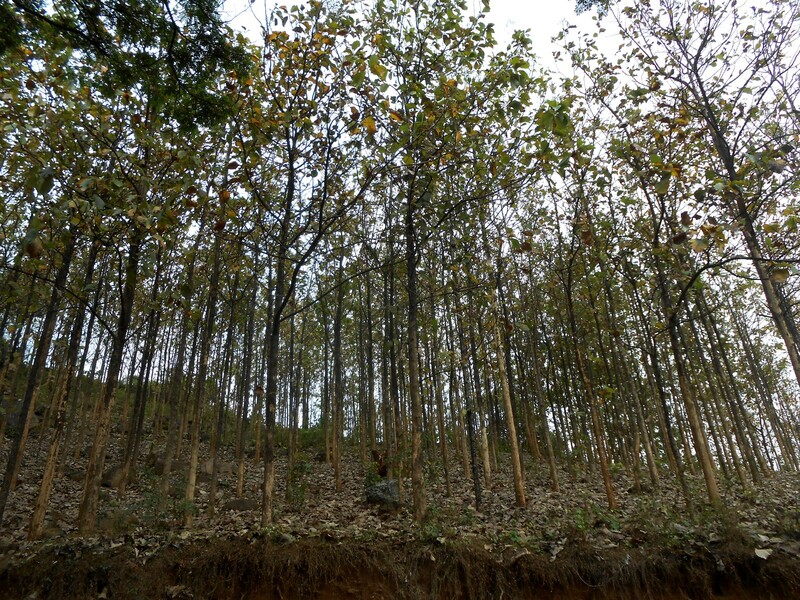 But the beautiful scenery along the way makes up for it (as did the constant chatter between me, my sister, my eleven year old niece and their adorable septuagenarian driver, Karunaratne). It’s fascinating to watch the landscape change from groves of palm trees to misty blue mountains as you make the ascent to the hills. 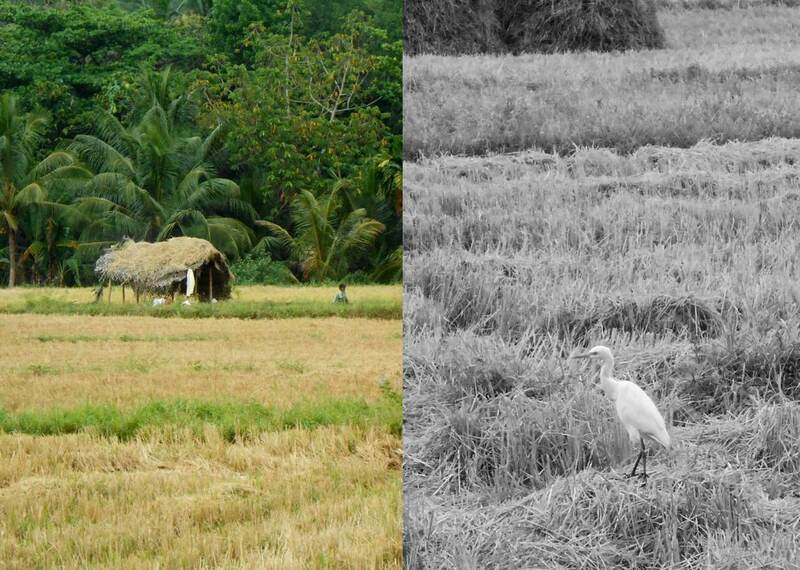 Lonesome souls – a little hut on a paddy field and a crane looking for its supper. 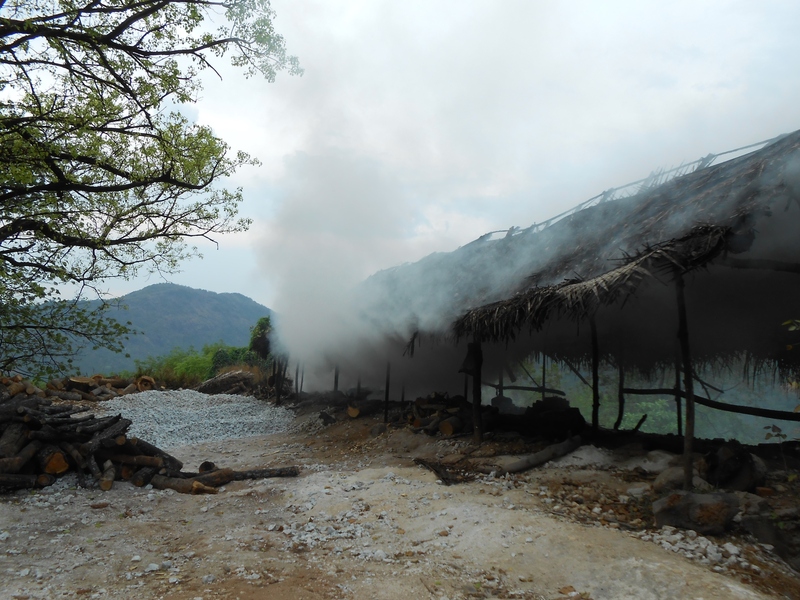 A limestone kiln by the road. 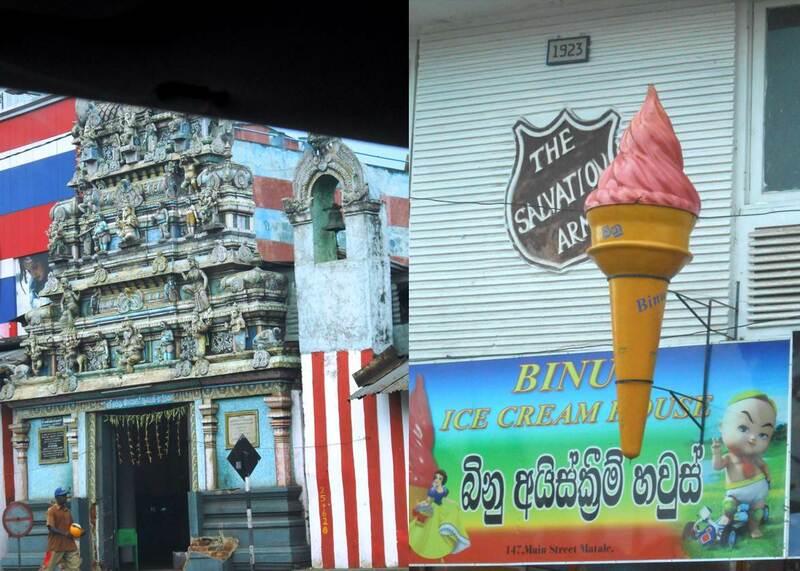 An old Hindu temple and and a quaint ice cream shop. 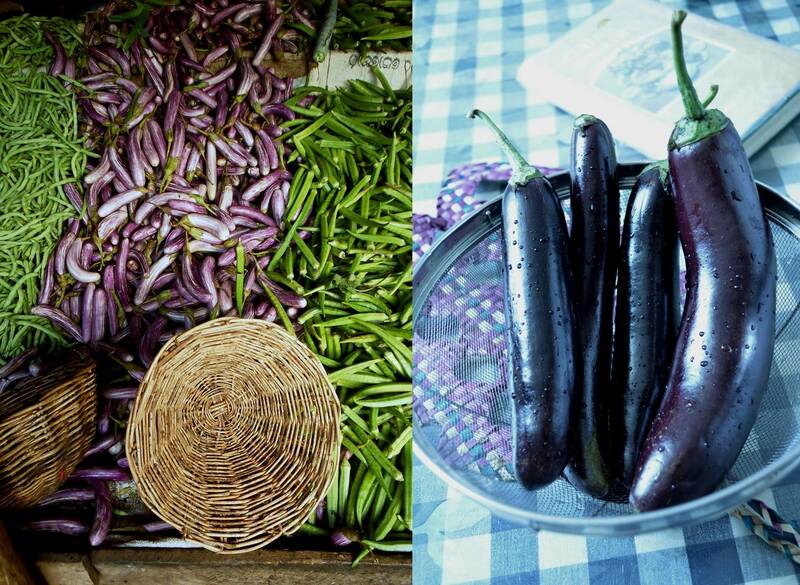 Farmers’ market – the real deal! A quick stop at the Barefoot Café provided a much needed respite from the chaos of the city. 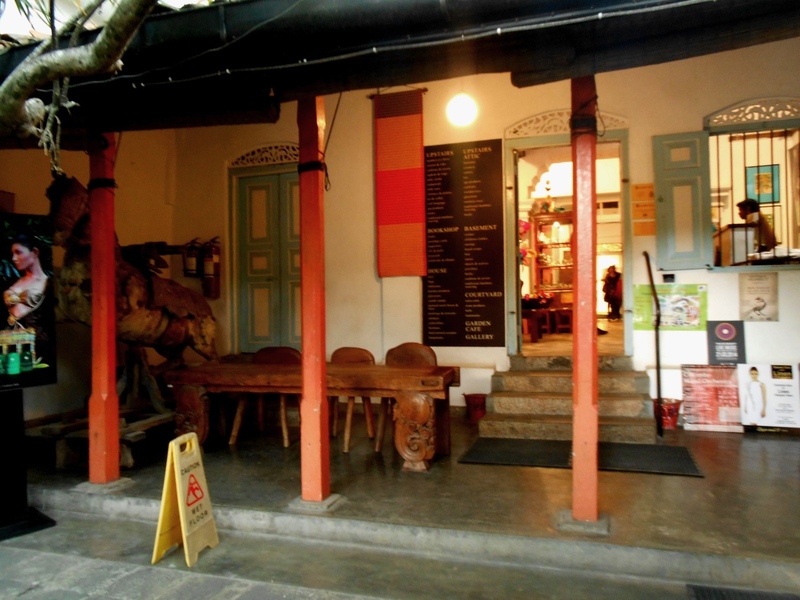 The Barefoot Gallery and Café is the brainchild of Barbara Sansoni, a celebrated Sri Lankan artist and textile designer. She started Barefoot 40 years ago as a rehabilitation programme for rural women where they were taught the art of weaving and creating handloom fabrics. 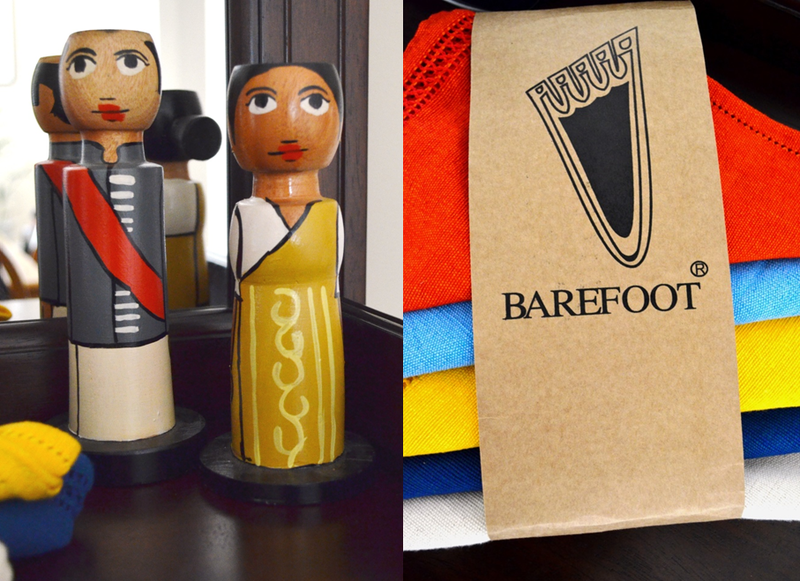 Barefoot is famous for its beautifully designed, vibrantly coloured stuffed toys, bags, clothes, jewellery and home accessories, mostly made out of hand-woven, naturally dyed fabrics. The café is built around an open courtyard and the gallery is in an extension of the building. 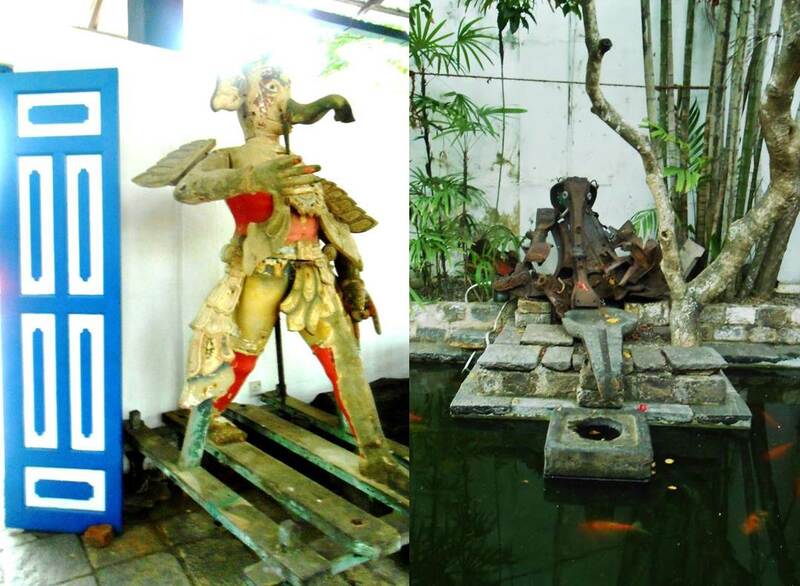 Two monstrous wooden statues of Hindu Gods guard the entrance and there is a cool deep green pond at the far end of the courtyard – it was lovely to sit outside and sip on a long icy lime and mint while we waited for our food (nothing great to write about, unfortunately). After a few bites of chewy, cold grilled pork wraps, we popped into the adjacent gallery. I completely lost track of time once inside – beautiful hand woven napkins in rainbow hues, hand-crocheted doilies and table runners; delicate and cobweb-like, quirky wooden candle stands shaped and painted like dolls in udarata (traditional Sinhalese) dress, forks and spoons made from Kitul wood, rolls and rolls of cloth in eye-popping colours and abstract geometrical patterns, patchwork wall-hangings – all made by hand. 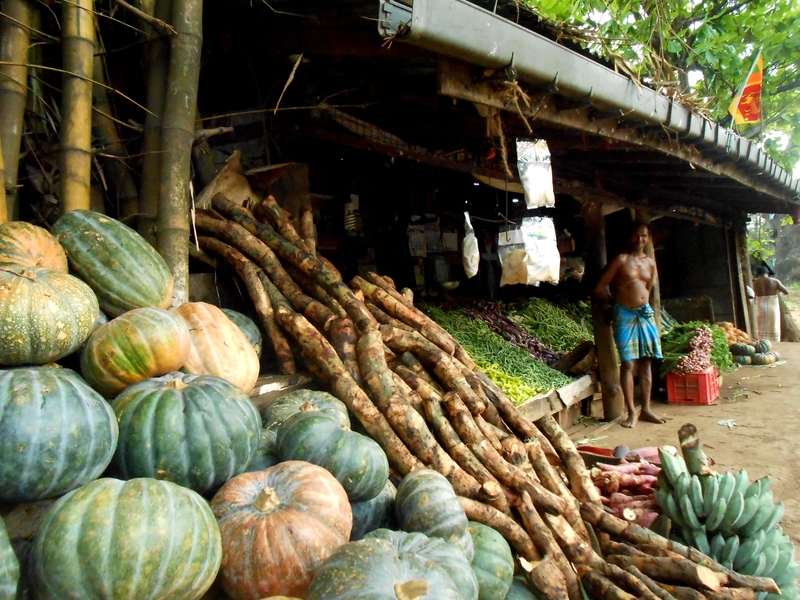 Sri Lankans have truly gifted hands, their workmanship is just exquisite. I greedily bought everything that caught my eye, all the while wishing I had taken a bigger suitcase! Back in Dubai and it’s the weekend. 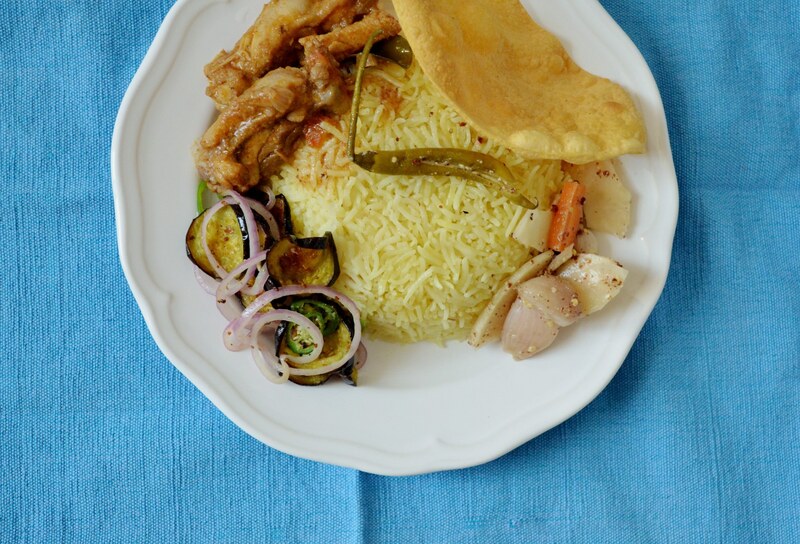 I made a special Sri Lankan lunch to nurse my homesick heart – yellow rice, chicken curry, pappodams and a lovely brinjal (eggplant) salad which is so simple to make but complements the rice and curry perfectly. 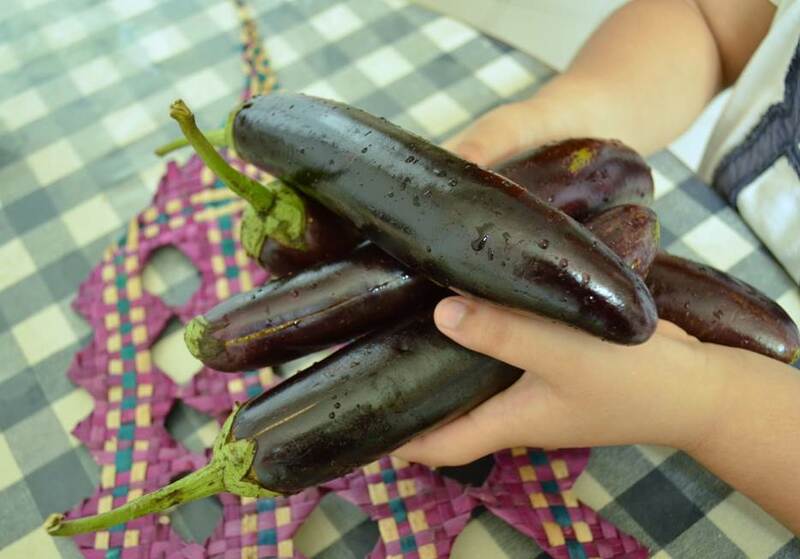 Slice the brinjals into 1/2 cm thick slices. Sprinkle over the turmeric and 1/2 tsp of salt and toss well, coating the slices evenly. 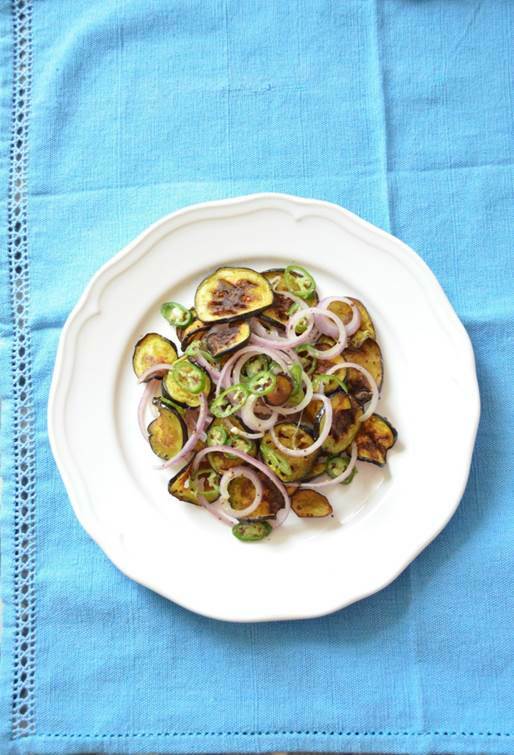 Heat the oil in a deep frying pan and fry the brinjal slices in batches, till golden brown. Drain on kitchen paper and set aside. Put the mustard seeds and vinegar into a mortar and give it a good grind till it forms a grainy paste. Combine the sliced onions and green chillies in a serving dish and add the mustard paste and the remaining salt. Give it a good toss. Add the fried brinjal and toss gently. Serve as an accompaniment to rice and curry. 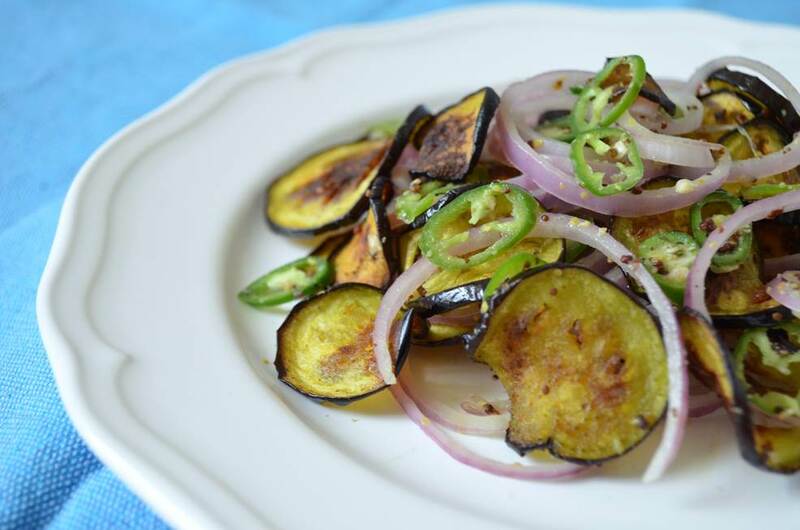 This entry was posted in Salads, Sides, Sri Lankan cuisine and tagged Barefoot Gallery, Brinjal salad, Eggplant, Sri Lankan cuisine. Bookmark the permalink. ← To blog or not to blog?